/Get Started with hutbay /How do I find a real estate developer? On the homepage (hutbay.com), click the find an agent link on the top menu bar. 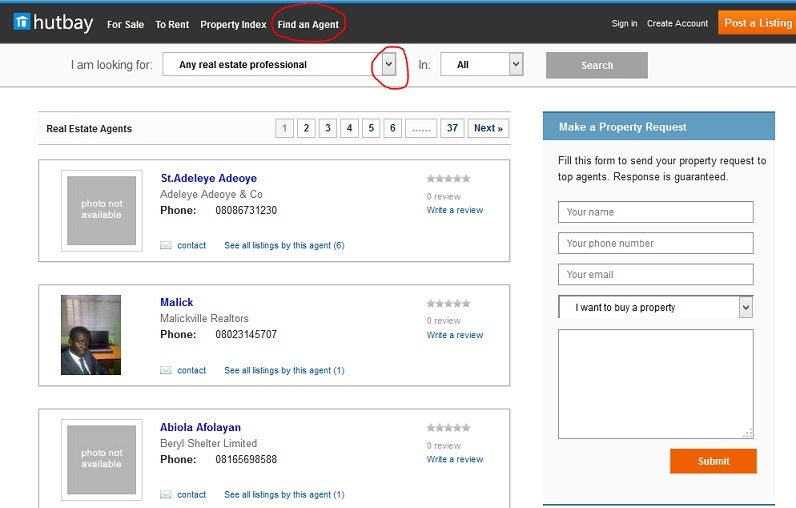 Then select from the drop down ‘I am looking for’: Real estate developers and property valuers, or any other option of your choice. If you have a specific location in mind, select the location in the second drop down ‘In’. Otherwise, leave it as ‘All’. Then click ‘search’ and you have a list of the real estate professionals you are searching for. You can call the professional of your choice or send him/her a message by clicking the ‘contact’ link below the professional.